2012! We are open 7 days a week for you. Planning a wedding? Satura Cakes offers complimentary tastings and consultations! Email events@saturacakes.com for more details. Many people spend a lifetime pursuing their dream yet never living it except for SeungHo Jung, the owner of Satura Cakes in Los Altos, CA. Being a pâtisserie was SeungHo Jung's lifelong dream. SeungHo Jung's passion to create designer cakes and extraordinary delicacies led him to become a protêgê of Masahito Motohashi who is the owner and a pâtisserie of "Anniversary", an award winning and well-known sophisticated bakery in Japan. During his time of training, SeungHo Jung worked diligently and became Head Chef at "Anniversary". Now the owner of Satura Cakes, his motto is to create high quality delicate cakes and pastries for people all around. Satura Cakes specializes in a fusion of Japanese- European baking styles & ingredients to create the best cakes, desserts, wedding cakes, cookies, and pastries. 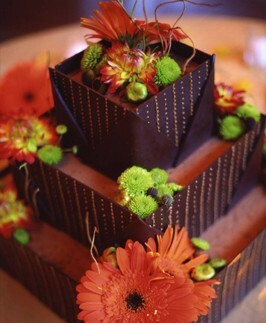 Featuring unique high quality, organic and local ingredients, Satura Cakes strives to bring "never another ordinary bite" to the American palate. With unique and gourmet offerings such as the maple-syrup basted French toast, gluten-free Flourless Chocolate cake, and delicious Salty Chocolate tea cookies (featuring Himalayan rock salt and Swiss chocolates), this Japanese-European concept is truly loved by many. Order a birthday cake to pick up at your convenience, schedule a complimentary wedding cake consultation or send cookies or a gift package to a friend!